Solent Stevedores was proud to be associated with this year`s International Bulk Journal Awards celebrating excellence in the Maritime Bulk industry held in Ghent. The company was once again shortlisted for the People Development Award in Cargo Handling, competing against companies from Abu Dhabi, Ireland and the US. 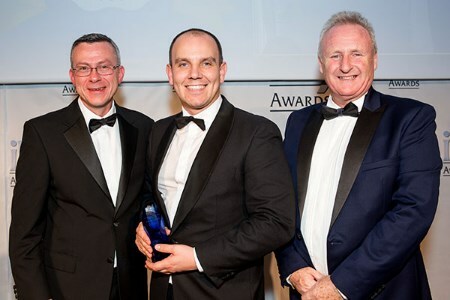 Unlike 2017, this year the company was voted winner and Zak McElvenny Group Compliance & Standards Manager received the award on behalf of the company. Solent Stevedores was also sponsoring the Bulk Logistics Excellence Award and companies from Belgium, Indonesia, the Netherlands, the UK and US were all competing for this accolade.